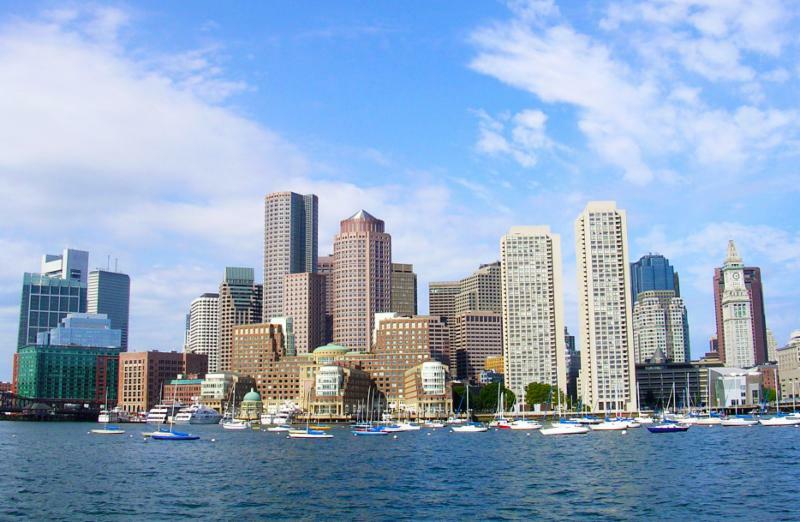 Next summer, the Product Stewardship Institute (PSI) will host product stewardship professionals in Boston, MA to explore the hottest topics in extended producer responsibility, the circular economy, and recycling. The 2017 U.S. Product Stewardship Forum will take place July 25-26, 2017 at the historic Omni Parker House Hotel in downtown Boston, a wonderful summer vacation destination. Registration opens on the PSI website in fall 2017. Lewis County General Hospital joined four pharmacies in New York's Oneida and Lewis counties to collect leftover pharmaceuticals from households as part of a drug take-back pilot program. Designed and implemented by the Product Stewardship Institute and the New York Product Stewardship Council, the program offers New York residents convenient, consistent disposal options for their unwanted medications - a key part of a comprehensive strategy to reduce the public health and environmental impacts of leftover drugs. From March through May 2016, the four original pilot program pharmacies collected 117 pounds of unwanted pharmaceuticals. 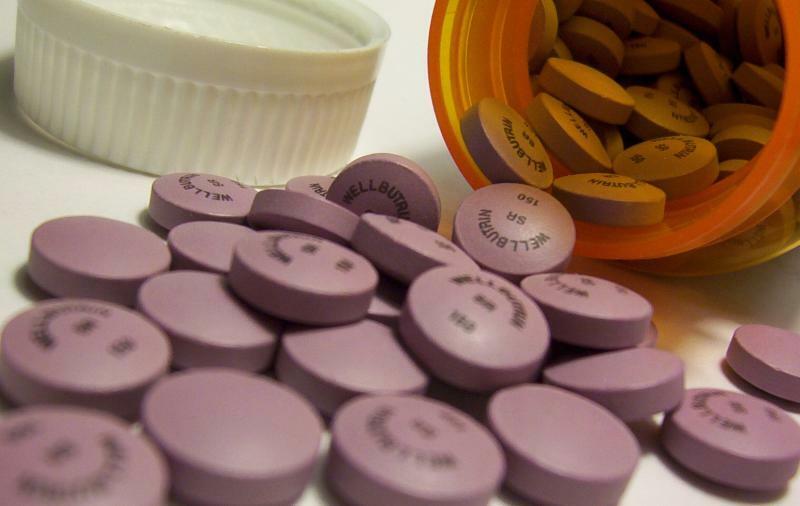 "Every week, there are overdoses and accidental poisonings caused by leftover prescription drugs found in residents' homes," said Diane Loftus, director of pharmacy at Lewis County General Hospital. "In addition, we often receive phone calls from family members who have lost loved ones and are looking for a way to dispose of medications that are no longer needed. We're proud to provide a much-needed solution for county residents to safely and easily remove leftover drugs from their medicine cabinets." For information about the pilot project, contact Vivian Fuhrman at (617) 236-4771. The Product Stewardship Institute recently released its Phone Book Opt-Out Toolkit, a resource designed to help government officials, environmental advocates, teachers, and other interested community members launch their own phone book opt-out campaign. Complete with a wide variety of outreach tools - including social media posts, newsletter copy, website info, flyers, and more - the Toolkit makes promoting opt-out as easy as copy-and-paste. Local governments pay nearly $60 million annually to recycle or dispose of unwanted phone books. 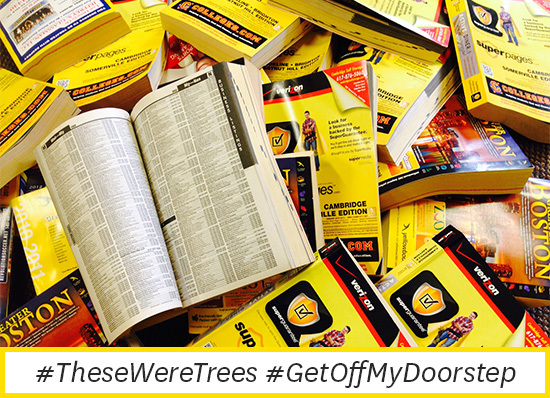 Phone books also pose an environmental burden: each year the industry uses an estimated 4.68 million trees worth of wood fiber, equal to 14 football fields' worth of forest per day. Help reduce paper waste by running a phone book opt-out campaign in your community. Visit the Opt-Out Toolkit, or contact Suzy Whalen at (617) 236-8293 with questions. When the U.S. Drug Enforcement Administration published its final rule in 2014, it expanded the number and types of entities allowed to collect unwanted drugs, including controlled substances. The rule allows manufacturers, distributors, reverse distributors, narcotics treatment programs, retail pharmacies, and hospitals/clinics with an on-site pharmacy to maintain on-site drug collection receptacles and mail-back programs. Recently, the Pipeline and Hazardous Materials Safety Administration (PHMSA), within the U.S. DOT, issued two special permits for the shipment of liners containing collected materials from drug take-back programs. The Product Stewardship Institute hosted PHMSA's special permits expert, Andrew Eckenrode, on a free webinar to explain the new permit and answer questions. Download the webinar recording today. Questions about the DOT permit? Contact Vivian Fuhrman at (617) 236-4771. On Thursday, August 25th, PSI Board Member and New York City Department of Sanitation's Kate Kitchener will present a North American Extended Producer Responsibility (EPR) Update at the Solid Waste Association of North America's WasteCON Conference. Kate will discuss the latest successes, obstacles and trends in product stewardship, including an update on emerging opportunities for pharmaceuticals, electronics, household hazardous waste, batteries, mattresses, and packaging. This presentation will provide insight on the national and international context for EPR efforts, including how these programs fit into a growing circular economy. New York State residents purchase over 30 million gallons of paint each year, more than three million of which go unused. 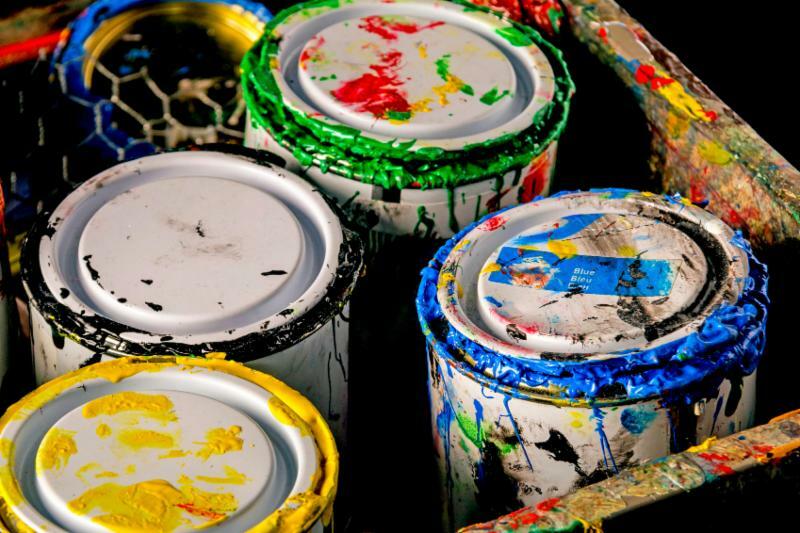 Leftover paint is often reusable and recyclable, yet most of it is managed by household hazardous waste programs, costing local governments approximately $24 million annually. Through a project funded by the New York State Pollution Prevention Institute's Community Grant Program, the New York Product Stewardship Council and the Product Stewardship Institute have provided step-by-step guidance to New York local governments and non-profits to implement reuse and paint reprocessing programs. The two organizations offered technical assistance to municipalities as they introduced and improved paint reuse programs, and developed two helpful resources: a Paint Reuse Manual and a Directory of New York Paint Reuse Programs. Looking to increase paint reuse in your state? Contact Tess Zinnes at (617) 236-4886. Many older household thermostats contain mercury - a toxic heavy metal that can cause serious health problems when it enters the environment. 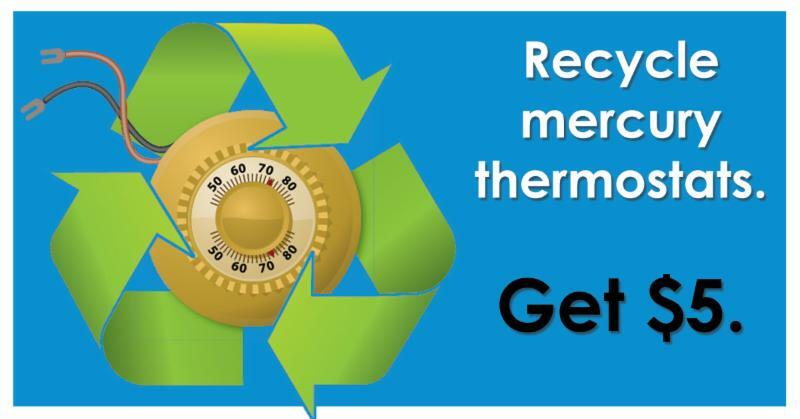 Recycling old mercury thermostats is an easy way to eliminate mercury from the environment. Additionally, switching to a programmable thermostat is a great way to save on home energy costs this winter. Through a program designed, launched, and implemented by the Product Stewardship Institute and the Illinois Environmental Protection Agency, those located in Illinois can bring old mercury thermostats to participating TrueValue and ACE hardware stores for free recycling and will receive a $5 coupon to be used in that store. Questions? Contact Suna Bayrakal at (617) 671-0616. On June 8th, the governor of Vermont signed a pharmaceuticals EPR ordinance (S 243) into law (Act 170). The new law establishes a statewide drug take-back program funded by pharmaceutical manufacturers but run by the government. Manufacturers will pay annual fees that fund a statewide disposal program and contribute to educating Vermont's residents about the importance of safe disposal. Vermont is now the second state after Massachusetts to require drug companies to fund and manage a safe disposal program for unwanted medications. While these two state laws do not follow the Product Stewardship Institute's model pharmaceutical EPR law, they each have producer responsibility as a central component. 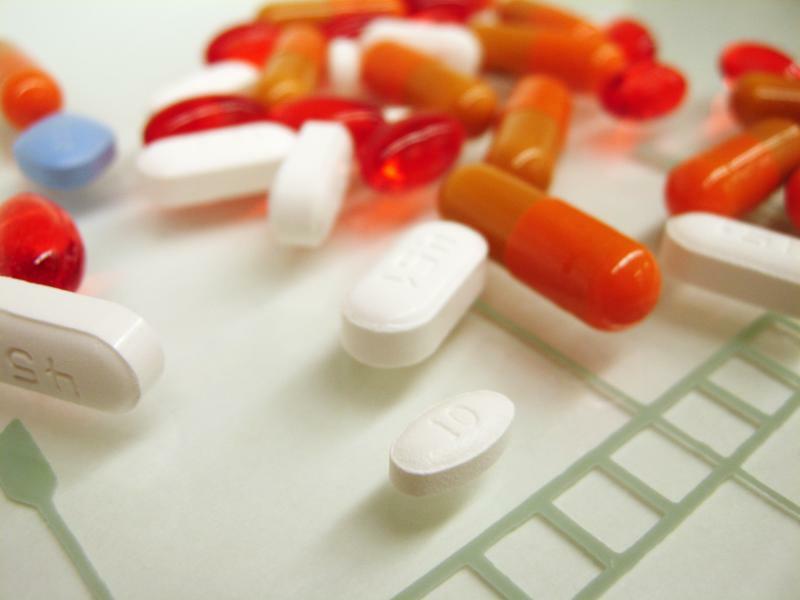 Seven counties in California and two in Washington have also passed local EPR ordinances establishing mandatory take-back programs for pharmaceuticals. Visit the Product Stewardship Institute's list of EPR laws for more information. On August 9th, Santa Cruz became the first city to pass an extended producer responsibility law for pharmaceuticals and medical sharps, joining 2 states and 9 counties around the U.S. with similar drug take-back laws. The ordinance requires manufacturers and retailers to fund and manage a disposal program for leftover medications and medical sharps. The ordinance will go into effect in mid-September. 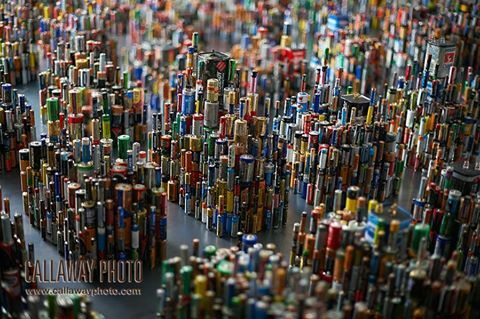 In a recently launched photography campaign, Raw Materials Company, a Canadian alkaline battery recycler, conveys the beauty that can be found in recycled materials. The 'before & after' photos illustrate the valuable components in batteries: scrap metal & black paste (fertilizer). Ellen Callaway, the photographer behind Callaway Photo and the Recycled Beauty campaign, recently showcased her work at the Product Stewardship Institute's 2015 U.S. Product Stewardship Forum in December. View the new photographs on the Recycled Beauty Facebook page. On October 22, 2016 from 10:00 AM - 2:00 PM, the Drug Enforcement Administration (DEA) will host its biannual National Drug Take-Back Day to offer Americans a way to remove leftover prescription drugs from their homes. Government agencies promote take-back as one of the best strategies for reducing the health and environmental impacts of unwanted drugs. While these DEA events are a step in the right direction, the Product Stewardship Institute and its members advocate for consistent, year-round drug-take back programs funded by pharmaceutical companies and not the government. The Manitoba government is reviewing eight proposed new stewardship plans for the recycling and collection of packaging, paint, fluorescent lamps, household hazardous waste, electronics, tires, batteries, leftover medications, and mercury thermostats. The proposed plans, submitted by the province's producer responsibility organizations, are open for comment until October 4, 2016. Northeast Waste Management Officials Association (NEWMOA) Webinar | Sept. 8 at 1pm EST | What Does IMERC Do With Companies' Mercury-Added Product Data?